Here is a humourous parody of conventional medicine. Dr Mercola, a conventionally trained medical doctor gives excellent health tips and you can also sign up for his regular newsletter using the yellow box at the very top of his page. The human body constantly attempts to keep homeostasis or balance. If it becomes out of balance either due to physical, mental or emotional factors then it will try to rebalance itself and symptoms can occur. The symptoms may be uncomfortable but often they are part of the healing process. An example of this is a fever which occurs to speed up the metabolic process and ‘burn off’ viruses or bacteria. Conventional medicine can work in the opposite direction to the healing process and can suppress the action of the body including the raised temperature, inflammation or other symptoms. The problem with this method is that the body will frequently attempt to fight against the intervention and increase the severity of the symtpoms. This can extend the acute crisis and chronic disease can result. 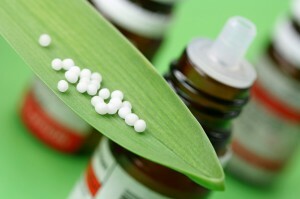 Homeopathy works with the body to increase its own natural healing response. The healing often seen with homeopathy is permanent because it enables the body to reestablish homeostasis.